Going towards the brand new tendencies in the world of fashion we are here to see the hair trends for 2016 fall season, and to be more precise right now we will go on analysing the updo hairstyles for the coming seasons. 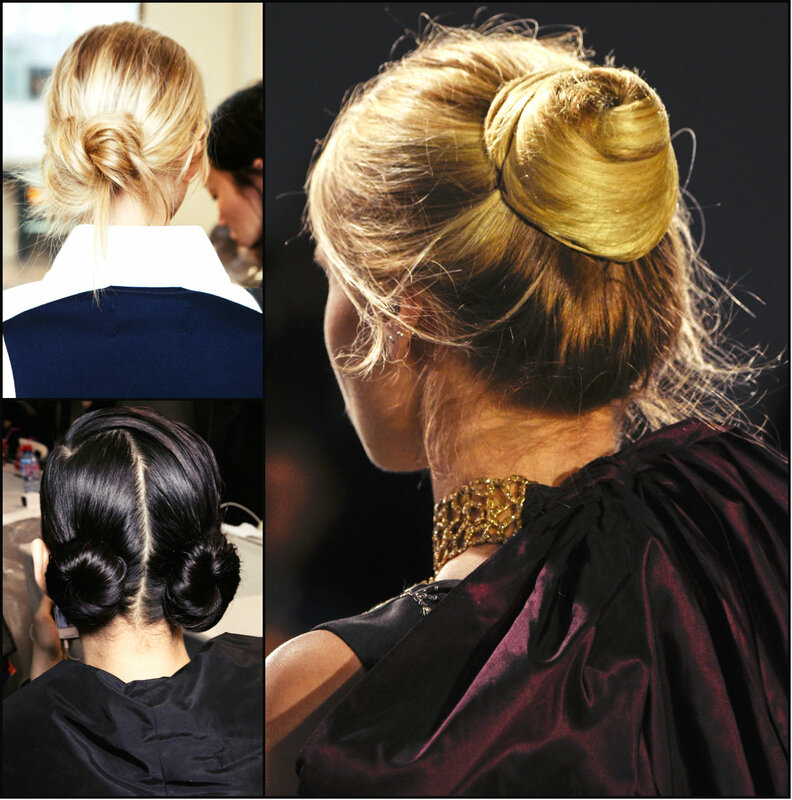 First of all we should say that all the looks are fantastic, from the low ponytails to high buns and knots. And I have to indicate that it is not about ponytails in general but about endless solutions and designs for knot and bun hairstyles. One thing to pay attention to is the naturalness. Anything you wear should look authentic and popular hairstyles are a part of the whole image for sure. Take care about colors as well, cause for autumn time better have some warm shades. Updo hairstyles are astounding. They are very useful also. when after cold winter, the hottest seasons come forward you must be ready that long loose hairstyles will be quite stressful. he heat, the sweating will cause you discomfort. An this is why you should be armed with updo hairstyles for spring 2016. Well, updos can also be of different design - from the complicated official looks to the most simple and beloved ponytails. But why go to extremes? For daily life we can choose a very simple yet quite stylish solution - top knots. These trendy hairstyles have won public attention, from models on runways, to celebrities on red carpets and ahead to common people top knots now are seen on everybody. 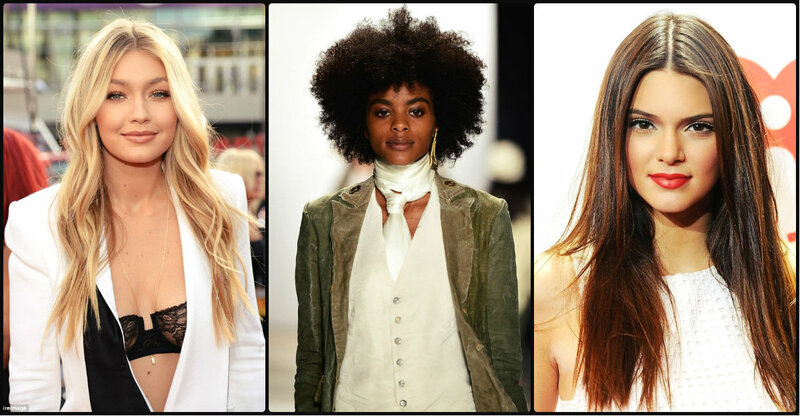 The mainstream hair trends 2016 persuade us to stay natural and sport easy and simple hairstyles, leaving tresses as they are - straight and messy, relaxed and casual. Well, in many cases we get straight hairstyles and almost forget about the curly hairstyles that are awesome. For centuries curly hair has been considered feminine and attractive, all around world ladies were trying to obtain the best curls, wearing wigs in 18th centuries and making chemical curling later on. But some of us have authentic curly hair type, and we can boost the curls proudly, but instead we become slaves of the tendencies and go on straightening the gorgeous mane. Runways are our number one inspiration source for the most amazing and popular hairstyles 2016 and most importantly for hair trends for fall season. Yes, while some of us, ladies, still can´t decide what haircut to wear this spring and summer, other ladies are already looking ahead for autumn image. And well the designer collection already introduced at different fashion weeks and runway shows have enough information, direction and inspiration for fall 2016 hairstyles. From ultra modern sleek and straight hairstyles, to 80´s retro hairstyles all the designs will really rock your world and astound people around you. Looking forward to having a careless summer with relaxed loose hairstyles, why not to keep up with hair trends for fall 2016? We have discussed before the main designer solutions for popular hairstyles for the coming autumn, and today I would like to draw your attention to tender hairstyles and hair accessories from 2016 runways and fashion events. 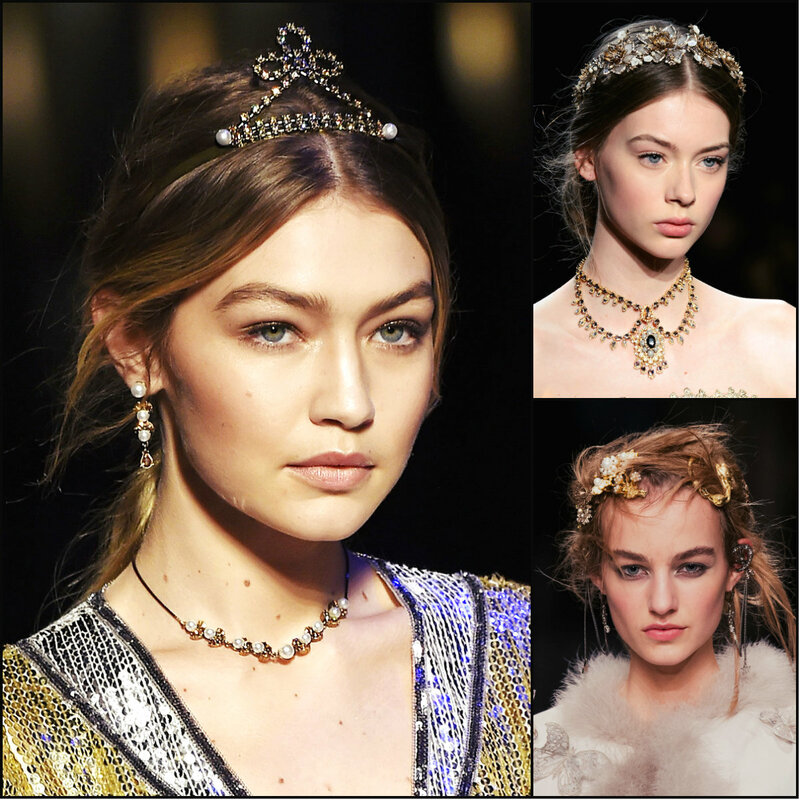 actually while for summer we can barely see any accessories, for fall season the looks are full of hair pieces, the majority of which are incredible and precious jewel hair accessories, like crowns and tiaras. Maybe these looks are not very casual meant for every day life, but they are very impressive. With cute and tender updo hairstyles completed with a a jewel head piece you will look like a princess, a real princess I mean, cause the atmosphere created around such an image is indeed fabulous. On Saturday night we are the lucky ones to witness the MTV Movie Awards 2016 and celebrity hairstyles and looks.For sure we have gone through a great number of fashion weeks and runways shows, through Venice Festival and through Oscar's celebrity hairstyles, but MTV is the channel that introduces the most unpredictable crazy events, and celebrities attend the MTV events with corresponding outfit and make up and for sure hairstyles. Many trends are set right here on the music, video and movie awards. And today we will look at the nicest solution for celebrity hairstyles, that will inspire us for the coming summer season. I have to note that even though at MTV shows you can see the most crazy looks, this time everything was elegant and natural. Well, the hair trends 2016 set before surely have their impact. While the majority of us is still thinking of how to look this summer, the others are already considering the main trends for hairstyles 2017. 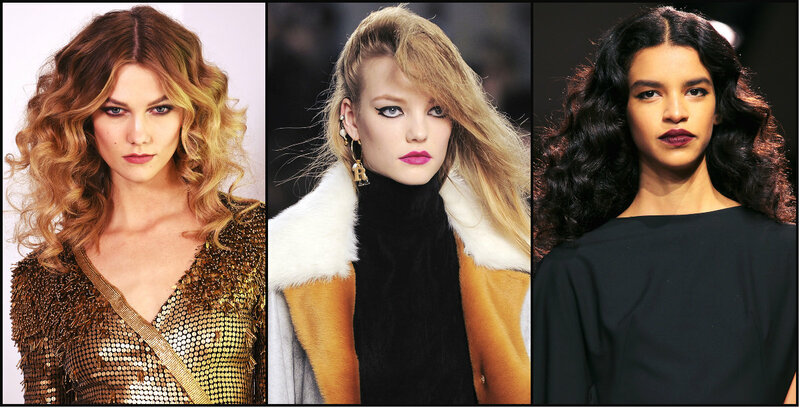 Though many runways still keep in spotlight hair solutions for spring and summer and winter 2016, we could find out and define the main hair trends for 2017. In general again it is about being natural. Curious enough the recent years stopped sporting complicated designs and shouting colors, all you need to do to be in the mainstream is to look natural. But well, yes, it is not as easy as it may seem. Sometime wearing straight loose hair can be much harder that having an exquisite updo.